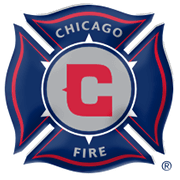 Despite the fact that Chicago Fire have been struggling in the 2018 MLS season, coach Veljko Paunovic is still in charge of the team. Chicago are on a nine-game winless run in the Major League Soccer ahead of the visit of Orlando City and, no doubt, they are desperate to give fans some cheer. Veljko Paunovic’s men recorded their last win at home back on July 1, but they are definitely capable of beating the Lions at their Toyota Park. Orlando City, on the other hand, failed to win previous eight league fixtures and that is probably the main reason why we are tempted to put our money on the hosts. 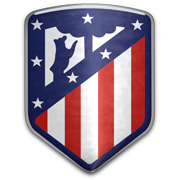 The Serbian tactician has a number of high-profile players to choose from and we believe that the time has come for them to prove their worth on the field. In their last meeting in MLS Chicago recorded a 2-1 win over Orlando City. Serbian-born 28-year-old striker Nemanja Nikolic is the Hungarian international currently playing Legia Warsaw. Nikolic began his career at Serbian side FK Senta, but his professional debut came in Hungarian club Barcs where he spent one year before he moved to Kaposvoglye. His career took a turn upwards upon the arrival to Kaposvar in 2008. Nikolic managed to notch thirty goals in just 49 appearances, attracting attention from Hungarian biggest sides. His fine form earned him a transfer to heavyweights Videoton in 2010. Almost 150 matches later and 87 goals to hi name, Nemanja Nikolic joined Polish giants Legia, where he continued his fine form by finishing the 2015-16 Ekstraklasa season as the league’s top scorer with 28 goals in 37 matches. Hungarian striker has been linked with a move away from Legia with Premier League sides such as Hull City expressing interest in acquiring his services, but Nikolic remained with his club to take part in Legia’s Champions League campaign. Orlando City are a member of the Eastern Conference in Major League Soccer. The Lions have been participating in the major league since 2015 and they host their rivals at Orlando City Stadium. The venue was opened in February, 2017 and the construction of the stadium cost $155 million. 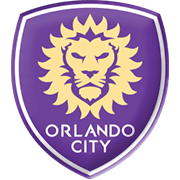 Orlando City finished the 2015 MLS season in seventh place in the Eastern Conference and they failed to make it to the play-offs in the 2016 season as well (8th place). Brazilian ace Kaka is undisputedly the club’s most famous player and the former Real Madrid and Milan man became the highest-paid player in MLS history. His base salary was $6.6 million per year and it has to be noted that the Brazilian superstar found the net on his Orlando City debut against FC Dallas (friendly). Orlando City’s home kit is violet, while they wear white and violet shirts and white socks on the travels. The club’s official mascot is Kingston the Lion.